Added 11/8/2018 You may Blame It on the Rain, But Girl You Know It's True. 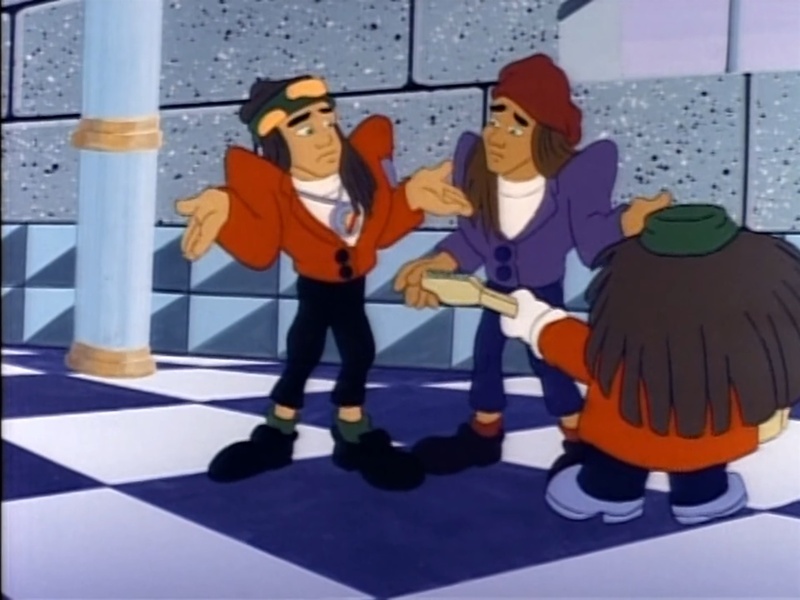 Really awesome cel of Milli Vanilli from The Adventures of Super Mario Bros. 3 episode 16 Kootie Pie Rocks. The peg holes and numbers got cut and the cel is stapled to the background.